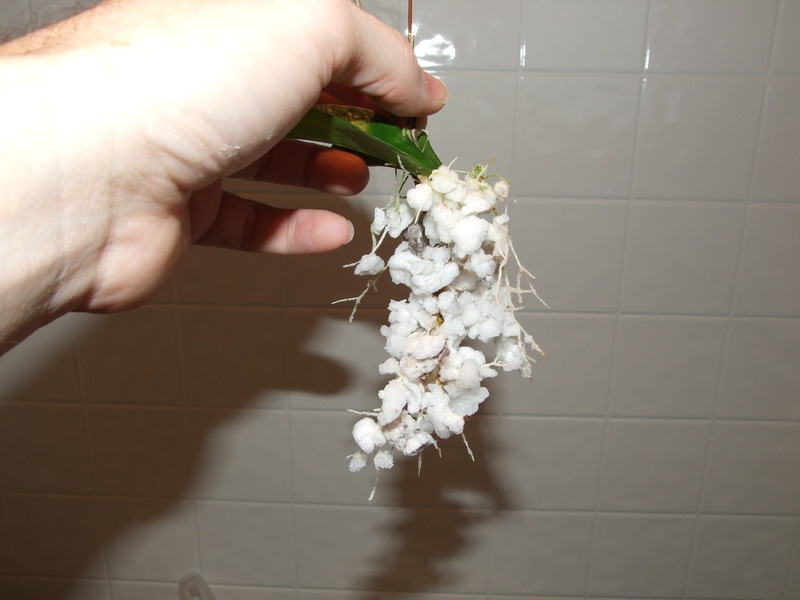 Hoyas are propagated almost exclusively from cuttings. 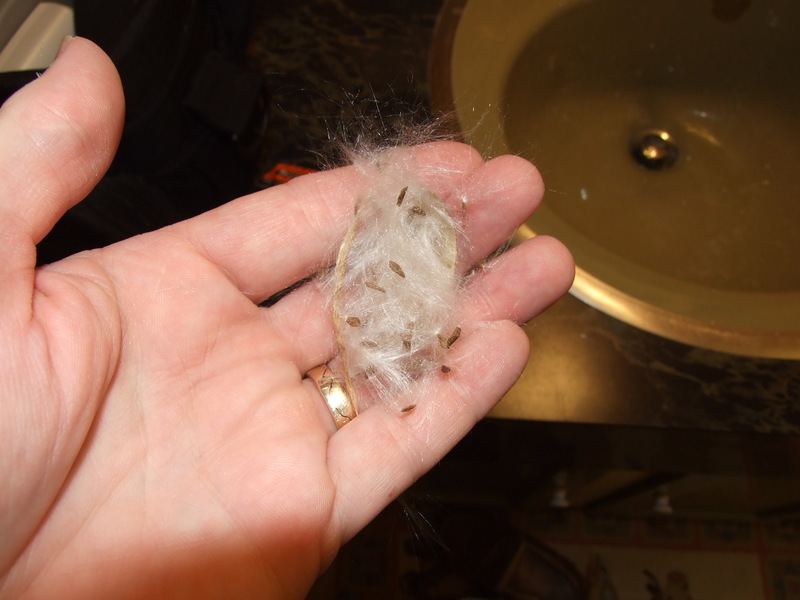 Hoyas from time to time do set seed, but there is no way to determine if those “seedlings” will stay true to the parent plant. Seeds can be fun to play around with, but those plants need to be clearly marked as seedlings, and should not be shared with others unless a clear understanding that the plants need to always be labeled correctly as seedlings. There are many ways to take and root cuttings; I will share the one that works best for me. I take good size 2-6 node cuttings with a sharp pruner. 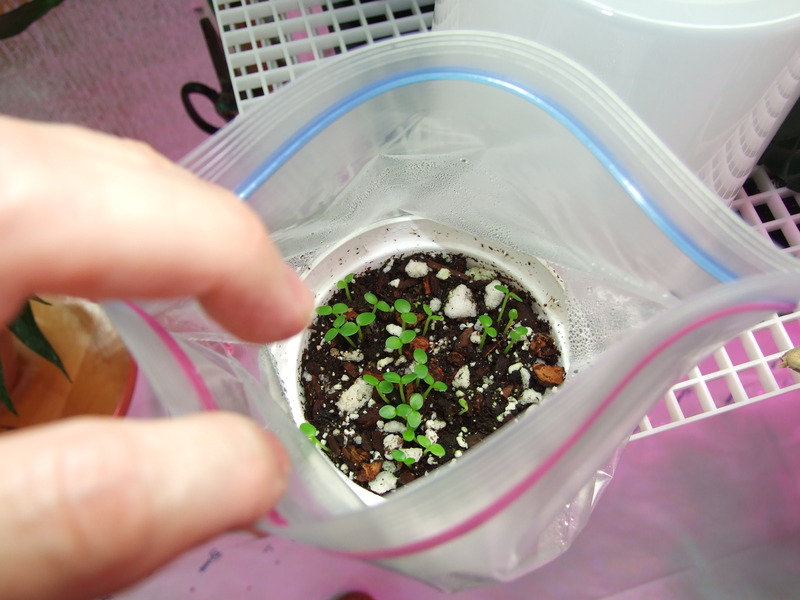 I then dip the cutting in a gel form of rooting hormone, and push the cuttings into moist #4 perlite right up to the bottom of the first set of leaves. 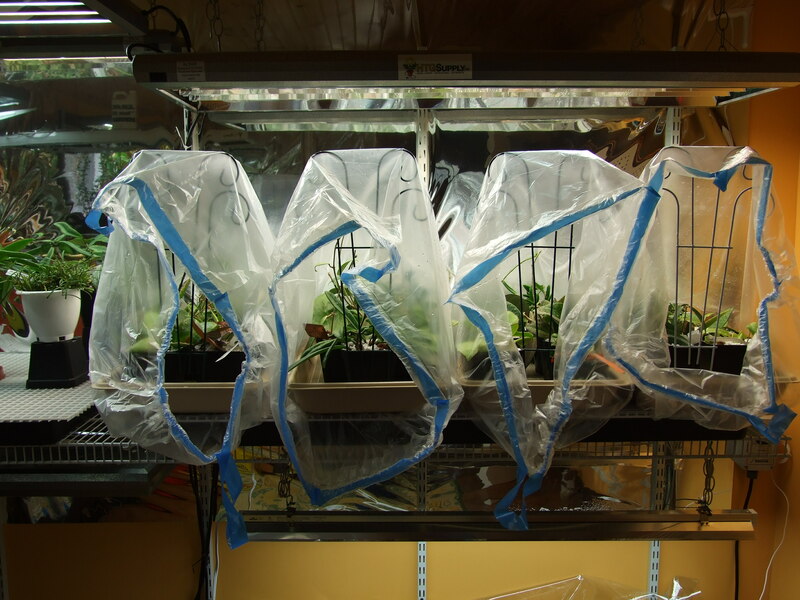 The cuttings then need to be enclosed in a clear plastic bag, or covered in some other kind of manner such as putting in an aquarium. 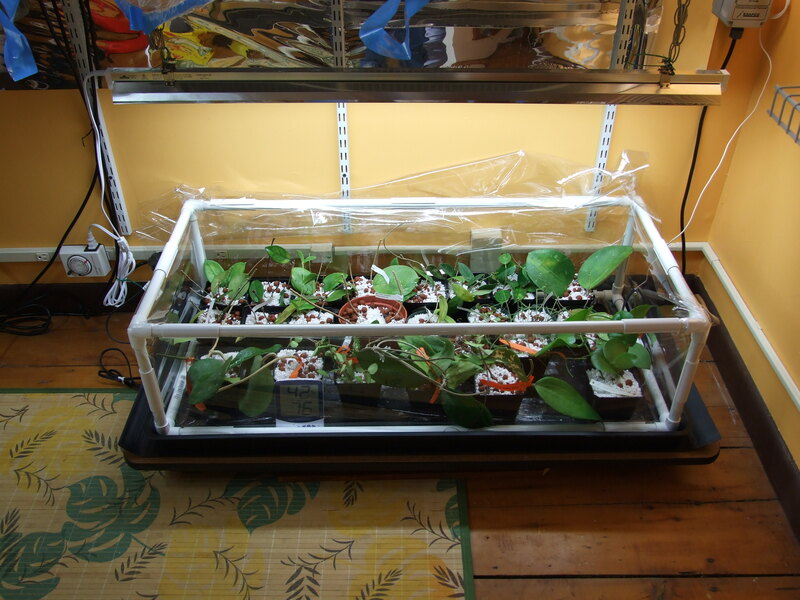 Keeping as high a relative humidity as possible without keeping the leaves wet is key to the rooting process. Take the trays of cuttings and keep warm and in indirect light – setting the trays under fluorescent lights is the ideal solution, but other methods will work if care is taken not to let sunlight fry your cuttings. I open the bag occasionally to blow carbon dioxide int the bag, and to remove any fallen leaves or diseased pieces. 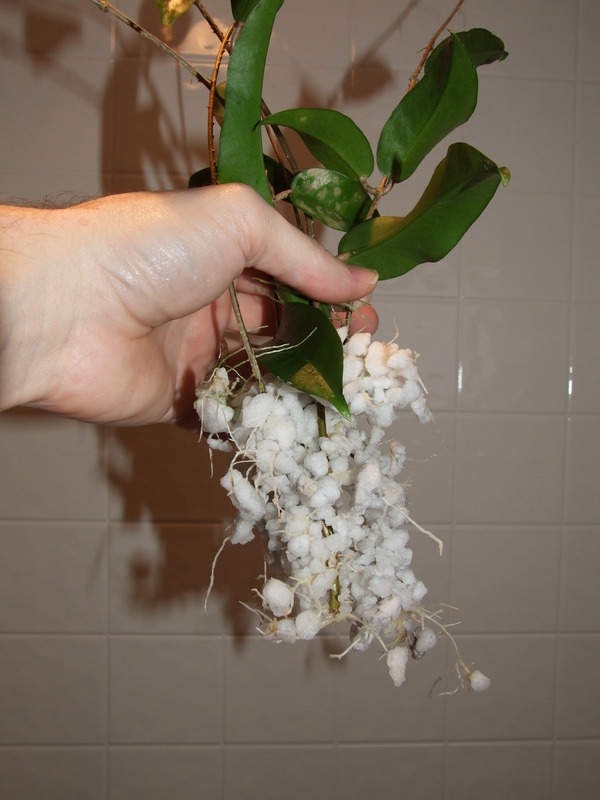 In 4 to 6 weeks you should have some nicely rooted cuttings, which you can then pot up into your regular mix. 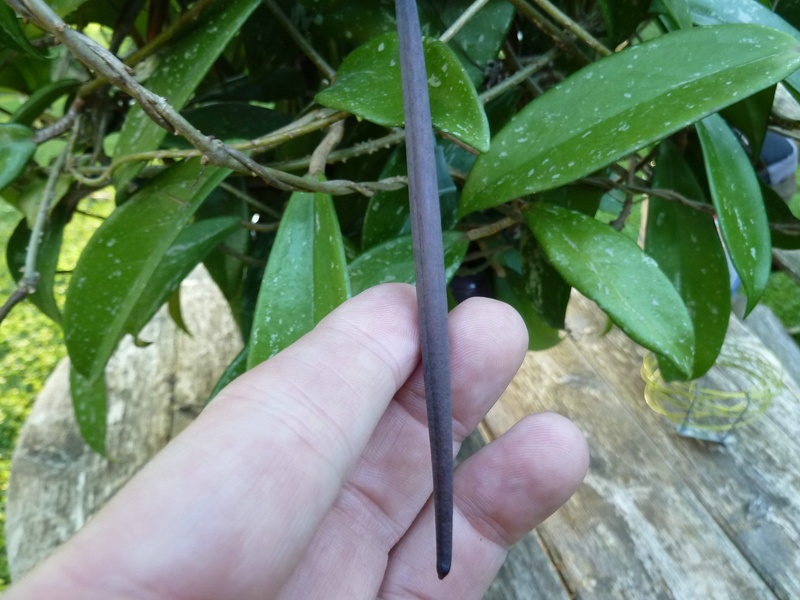 Cuttings work much better if taken from mature, but non woody stems from the parent plant.